Next Season – 2018-2019- Workshops and classes! MCP is very proud to announce the addition of workshops and classes for the public, as well as a second season children’s program, beginning our next season. We have ideas forming, but are reaching out to the public! What types of things would you like to learn? 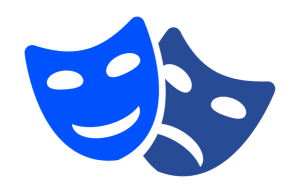 Have you always wanted to try theater but feel like you don’t know where to begin? Would you like to broaden your horizons? Learn to dance? Practice your singing? Play around with a little improve? Are accents your thing? We want to know! Please send and an email or message us on Facebook, and we will add your ideas to our own list!